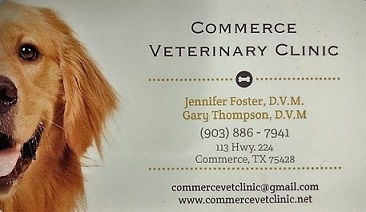 Commerce Vet Clinic has been serving our community since 1983. Upon entering the clinic, you will be greeted by one of our receptionists. 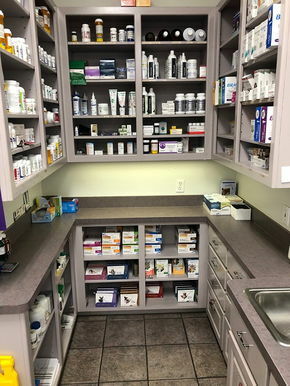 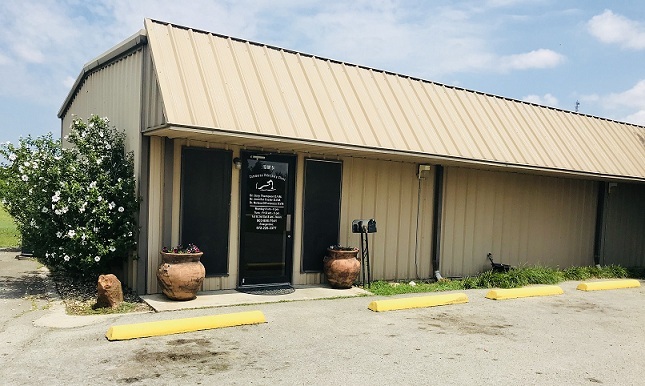 We will try our hardest to get you in to see the Dr.
Our fully stocked pharmacy allows our clients to have access to hundreds of medications for their beloved pets. 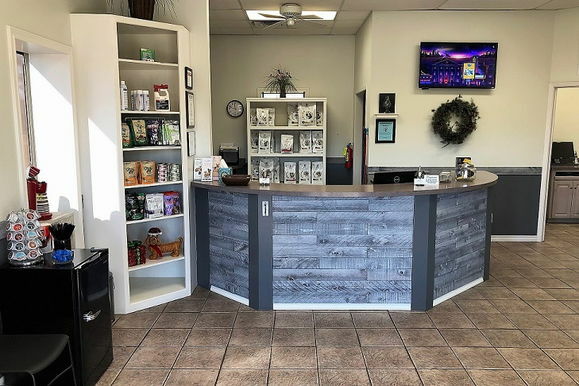 We offer prescription medications, flea and tick products, behavioral therapy, allergy medications, heartworm prevention, and pain management solutions.